	Before the Headlines: A Handbook of Television Journalism. Macmillan. Delhi. 1999. 	Discovery Channel Hindi Stylebook (Member, Core Team), Delhi, 1999. 	Star Gazer (Ed.). Strategic Publishing Group (Fairfax Business Media), Singapore. 2000. 	Dictionary of Media and Journalism. IK International. Delhi. 2004. 	News on the Web, News for the Web in Making News (Ed.). Oxford University Press. Delhi. 2005. Under his leadership, the School of Mass Communication bagged DNA-Stars of the Industry Awards for Innovation and Educational Leadership consecutively for two years: 2014 & 2015. He was invited to the prestigious Asia-Pacific Education Leadership Forum-2015 (Bali) that was attended by thought leaders from over 40 countries. He has been on the committee/panel of experts of various academic institutions including NCERT, IGNOU, JNU, DU, NIOS and CEC (UGC). As the MIS (Managing Information Strategies) Bureau Chief, he had the distinction of doing the Change Management Case Studies of the IT using majors such as the World Bank, UNICEF& NTPC that were up against the Y2K challenge posed by the year 2000. He also worked as Script Writer and Story Director of over 100 documentaries for Kashmir File (DD-CNN International) and Turning Point (Doordarshan). 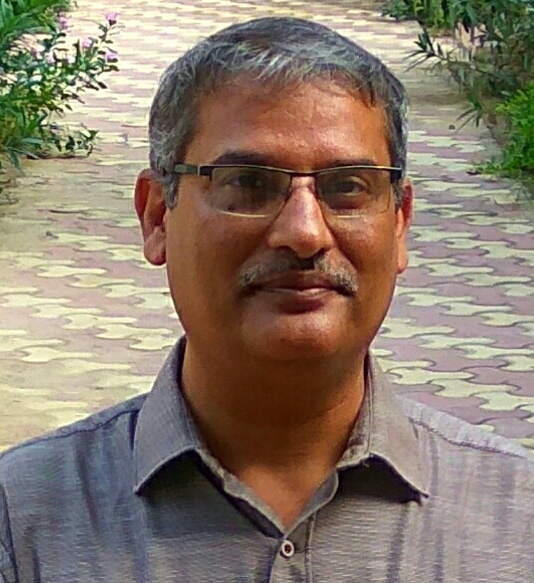 An Economics graduate, he did his masters in Hindi Literature & Media Management, M.Phil in Sociology of Literature, and PhD in the domain of Journalism.